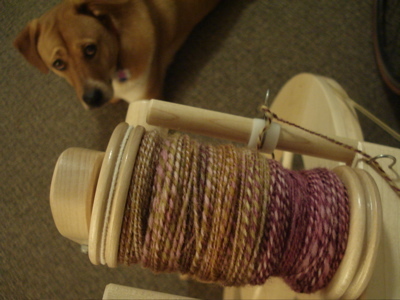 This entry was posted in spinning and tagged hello yarn fiber club, plying, shetland, sour fig, spinning by barefootrooster. Bookmark the permalink. Learned to play “Across The Great Divide” on guitar years ago and singing that second verse was always my favorite part. Don’t stay up too late! 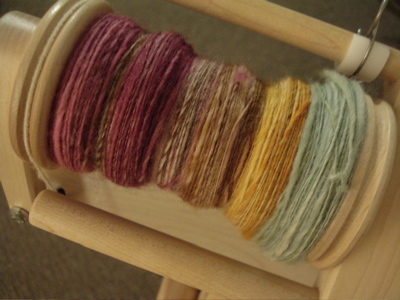 Beautiful spinning! It’s going to be something wonderful. I’m a night owl, too. The Sour Fig is lovely! I really need to sit down and spin something – it’s been weeks! Sour Fig would be a great choice. Happy rest of week! Wow, those colors are amazing!! Gorgeous! Sometimes the fiber arts are the only answer to a long day. 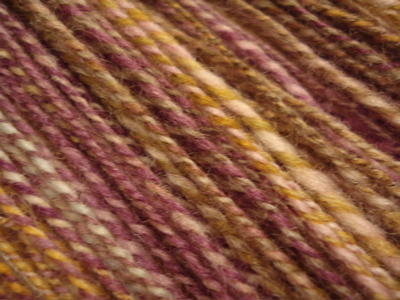 Wow, beautiful yarn, I love those colours!